I love the stairs in our house! A month ago myself and Rob moved into our first home together. This is super exciting as we have wanted this for years, it feels amazing to have our own space. 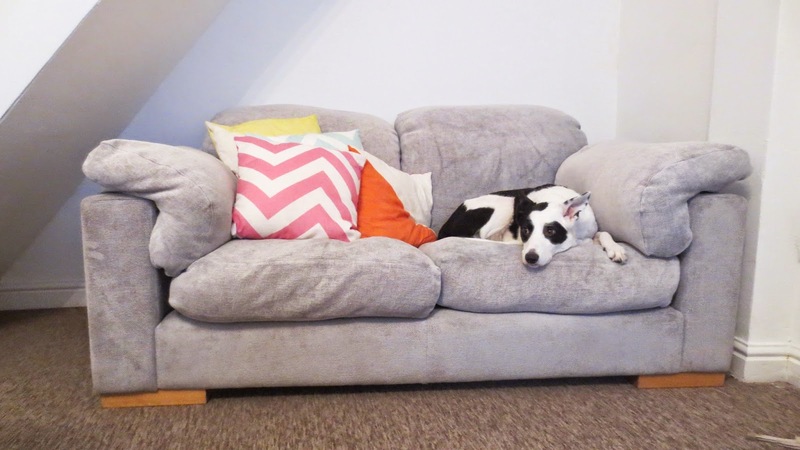 Bella has taken to one spot in particular in the new house and that is the sofa. We are super impressed with our find for our sofas, we got two big grey sofas for £100, such a great bargain. We are super chuffed as this is the colour we set our minds on. We still need a fridge, freezer and washer which we are hoping to buy soon. We are doing each room in stages and pay days but after all the necessary bits are purchased we can think about a colour scheme and buying candles and fun stuff like that. I love this house, its perfect and makes us very happy. This is almost like a little life update post which I love reading on other bloggers blogs. 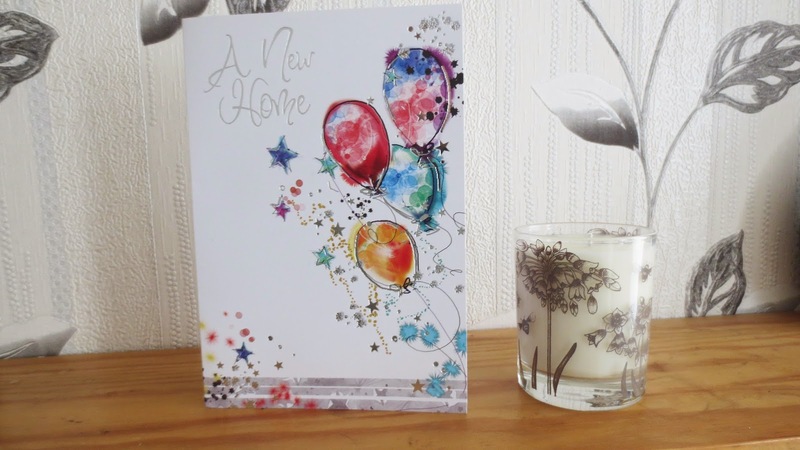 My mom got us our first new home card which is so sweet, it was the first think I popped onto our fire place along side my new Beefayre candle which smells amazing. I am excited to purchase more candles and the most exciting part about moving in this time of year, our first Christmas tree!! I love to cook meals and clean the house top to bottom which my grown up side coming out right? everything from watching tv to washing the dishes feels relaxing, which is what I need in my life. I love having a calm place to blog, read, watch tv and just truly enjoy our own company. I love being able to invite my friends around to watch films and eat pizza. Katy and Mark popped in a few days ago and we watched Monsters University which was super lovely and chilled. We need so many home ware bits but I know it will soon build up. Its so much fun being able to shop for things for your own home, I used to look but not let myself think about it because if I did i got super upset but its been worth everything to have this home. I am so in love with this house, its super calm and cosy which is what we really wanted. I love being able to chill with my dog and watch some dvds whilst blogging away. One of the most exciting spaces in the house is that I can have my very own office. I have 0 furniture and things for this room right now but I will soon be able to do something with it and make it a space to grow my blog. Ikea has been our go to place for furniture, we have just finished building things for our room and it looks awesome. 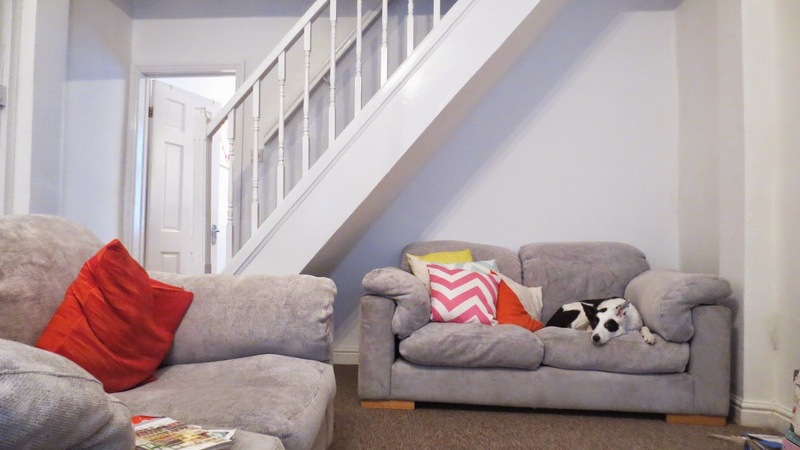 All we need now is some cute cushions and some festive bedding! I want to be able to do more home ware type posts on my blog, keep an eye out for them. we just got internet installed so I am catching up on all my favourite blogs, Youtubers and typing out posts real fast. I have missed having my blog in my life and I know I will want to work even harder now! Time to discover the joys of Ikea/DIY/B&Q Sundays. When Rich and I moved in together this became our grown up day of the week! Can't wait to see more house posts from you!